Crews strengthen the structure of a high school in Istanbul to be more earthquake resistant. A new World Bank Disaster Risk Management Hub will help share resilience and recovery knowledge with developing countries. Through its exposure to natural disasters, Asia has been building centuries of expertise in disaster response, recovery, and resilience. The World Bank announced it is establishing a new Disaster Risk Management Hub in Toyko to help share that knowledge across developing countries. The program will support risk assessment, the development of infrastructure, building codes, and land-use plans that take risks into account, hazard monitoring, the development of early warning systems, and engaging communities in preparedness. “Tell the future generations that a tsunami once reached this point and those who survived were those who ran uphill. So run! 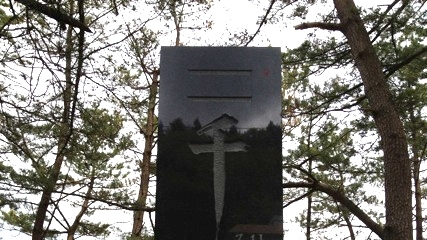 Run uphill!” reads a memorial stone on the coast of Kamaishi, Japan. Monuments like this remind us of the need to be prepared for natural disasters, which have put people and infrastructure at risk for centuries, particularly in parts of Asia. Asia is one of the most disaster-affected regions in the world. It suffered 61 percent of global losses over the past 20 years; more than 1.6 billion people have been affected by disasters there since 2000. With each natural disaster, the region has built increasing expertise in response, recovery, and resilience. To share that knowledge around the world, the World Bank announced that it is establishing a Disaster Risk Management Hub in Tokyo. The hub, to be launched in 2014 and housed in the World Bank offices, is part of a US$100 million program funded by the government of Japan to mainstream disaster risk management in development policies and programs. "Disaster and climate resilience are increasingly a priority for the World Bank Group. Scaled up support from the government of Japan will further strengthen our long-standing commitment and effort to integrate risk considerations in all aspects of our work and help countries reduce their vulnerability to natural hazards and climate variability," said Rachel Kyte, vice president for sustainable development at the World Bank. The new program stems from a commitment made at the Sendai Dialogue, a meeting of global leaders held in October 2012 near the epicenter of the Great East Japan earthquake. It will finance activities across four pillars of the World Bank’s disaster risk management framework identified in the Sendai Report. "This program brings us a big step forward in implementing the commitments made in Sendai," said Francis Ghesquiere, head of the Global Facility for Disaster Reduction and Recovery. "Through this joint program, the government of Japan, the World Bank, and GFDRR will step up support to vulnerable countries." " Scaled up support from the government of Japan will further strengthen our long-standing commitment and effort to integrate risk considerations in all aspects of our work and help countries reduce their vulnerability to natural hazards and climate variability. " Through the Tokyo Disaster Risk Management Hub and the World Bank Disaster Risk Management Practice Group, the program will support disaster-prone countries, assess risks, invest in smart infrastructure, develop building codes and land-use plans that take current and future risks into account, monitor hazards, and develop early warning systems, build financial resilience, and engage communities in prevention and preparedness. Projects such as the Pacific Catastrophe Risk Assessment and Financing Initiative (PCRAFI) help sovereign governments increase their finance resilience and improve their understanding of risk through disaster risk assessment and financing. As part of the Initiative, the Pacific Catastrophe Risk Insurance Pilot will test whether a risk transfer arrangement modeled on an insurance plan can help Pacific island nations cope with the immediate financial effects of natural disasters. In Indonesia, the open-source data platform and analytic tool InaSAFE (Indonesia Scenario Assessment for Emergency) helps disaster risk managers with contingency planning focusing on critical infrastructures and vulnerable populations. InaSAFE is freely available online, and can be easily adapted to different contexts. A local version is currently being developed in the Philippines. In Japan, the famous shinkansen bullet trains are equipped with an earthquake early warning that can stop the electricity supply and halt the trains before an earthquake strikes to avoid derailment. The same technology could be useful to other countries at high seismic risk for reducing the vulnerability of critical services and facilities, such as gas and water lines. Beside sophisticated technologies, there are many simple solutions that the program can help channel to vulnerable countries. In Indonesia, for example, early warning information is disseminated though mosques’ speaker systems, making the most of existing infrastructure. Managing risks is about protecting both the national budget and people so they can prosper, especially those who are at risk of poverty. That link between resilience and poverty reduction is the focus of the fifth round of the Resilience Dialogue series "Poverty Reduction in a Time of Extremes," part of the 2013 World Bank Group-IMF Annual Meetings. The event will identify strategies to help the millions of people who are one earthquake or one hurricane away from falling back into poverty. Sharing knowledge is critical to the work of the World Bank Group and the Global Facility for Disaster Reduction and Recovery (GFDRR), a partnership of 39 countries and seven international organizations committed to helping developing countries reduce their vulnerability to natural hazards and adapt to climate change. With GFDRR’s creation in 2006, the World Bank increased its capacity to integrate disaster risk management into development strategies, undertake timely post-disaster needs assessments, develop innovative financing and research mechanisms, and build countries’ capacity. Today, resilience to disasters is increasingly central to the World Bank’s development programs, with over two-thirds of the Bank’s Country Partnership Strategies now including disaster risk considerations. Between 2006 and 2011, the Bank financed 113 disaster prevention and preparedness operations (US$7.9 billion) and 68 disaster reconstruction operations (US$3.8 billion), amounting to over 5.3 percent of its overall portfolio.